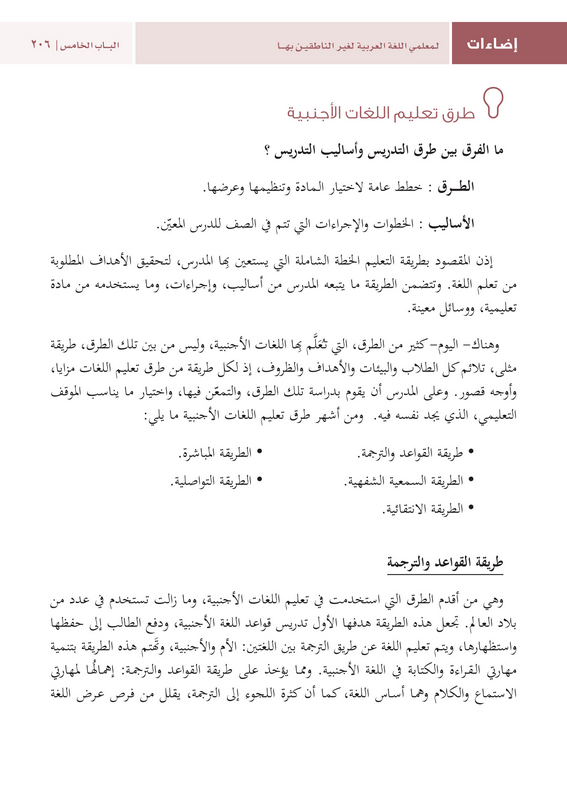 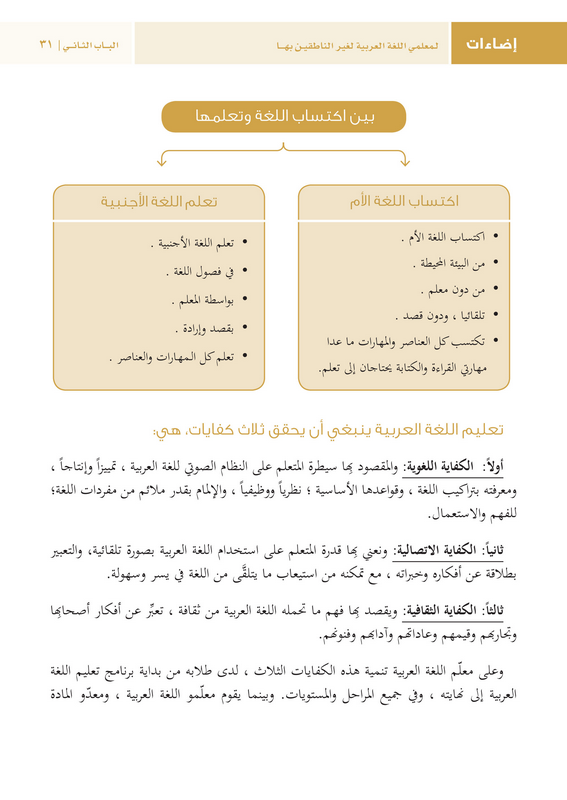 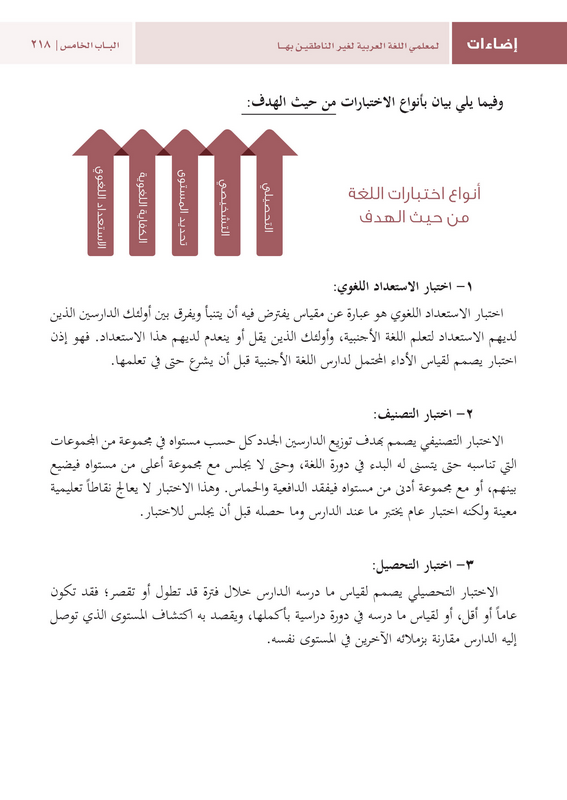 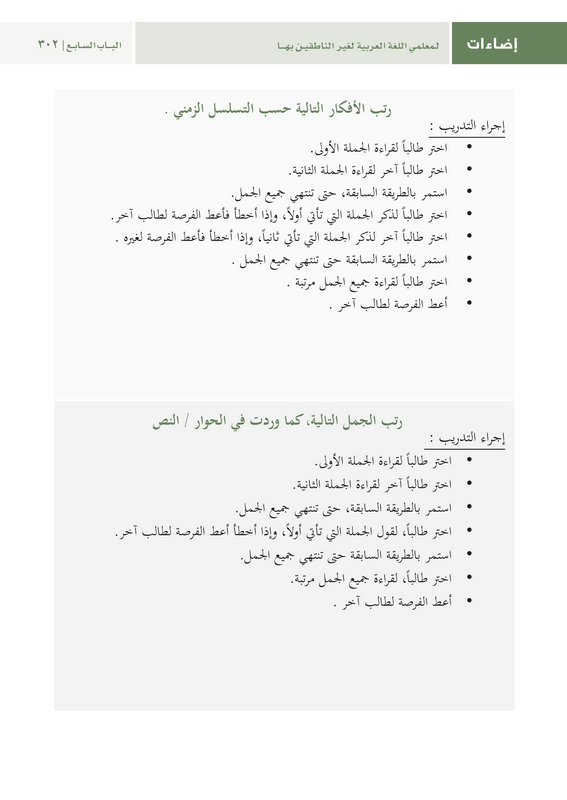 Instructions for Arabic teachers to promote their professional efficiency in teaching Arabic for non-native speakers. 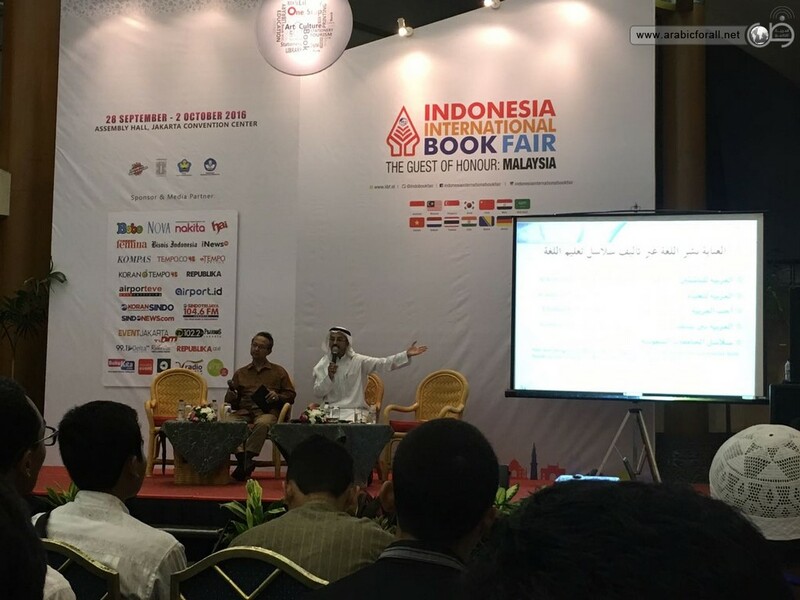 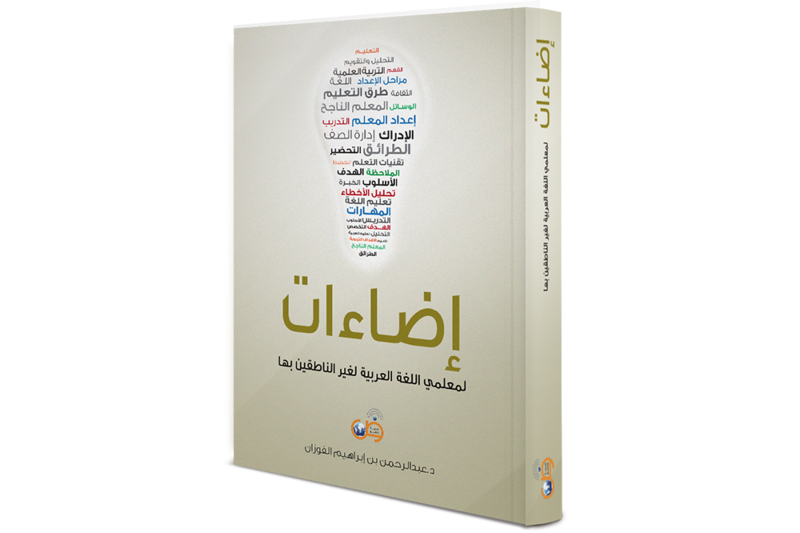 Illuminations for the teachers of Arabic language to non-native speakers to raise their professional competence in teaching Arabic to non-native speakers. 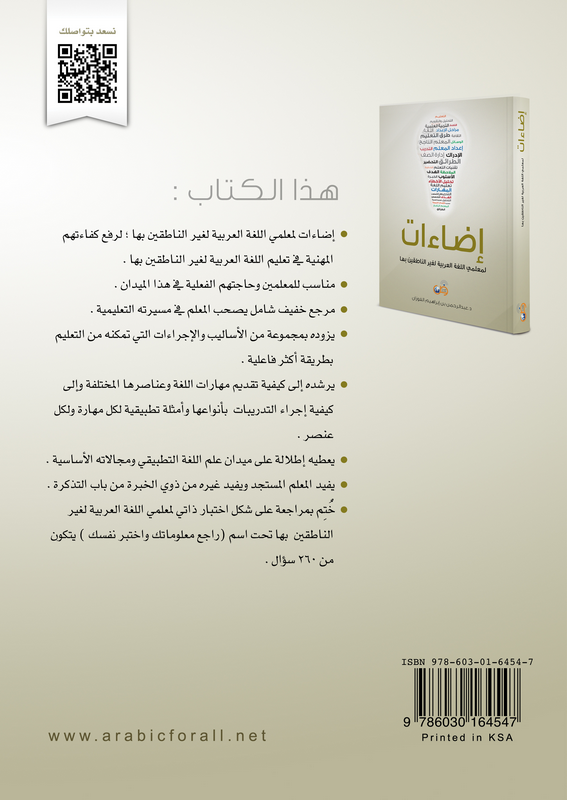 One of the latest books in Applied Linguistics which gives a broad view of the field and its core areas. 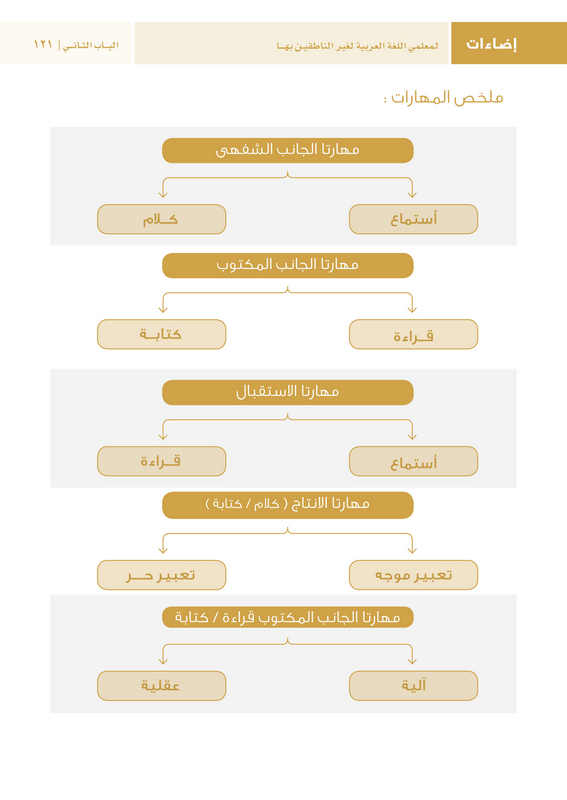 Light and thorough reference to accompany Arabic language teachers in their teaching career and to fulfill their actual needs in this field. 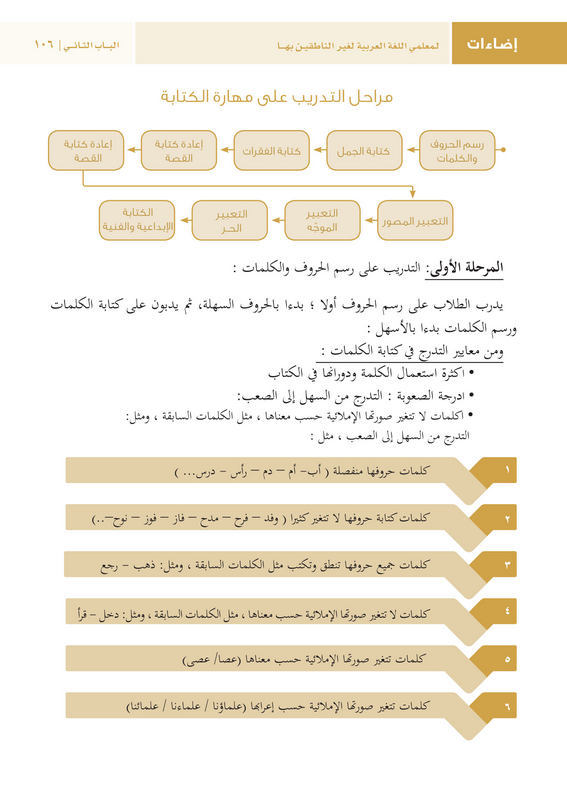 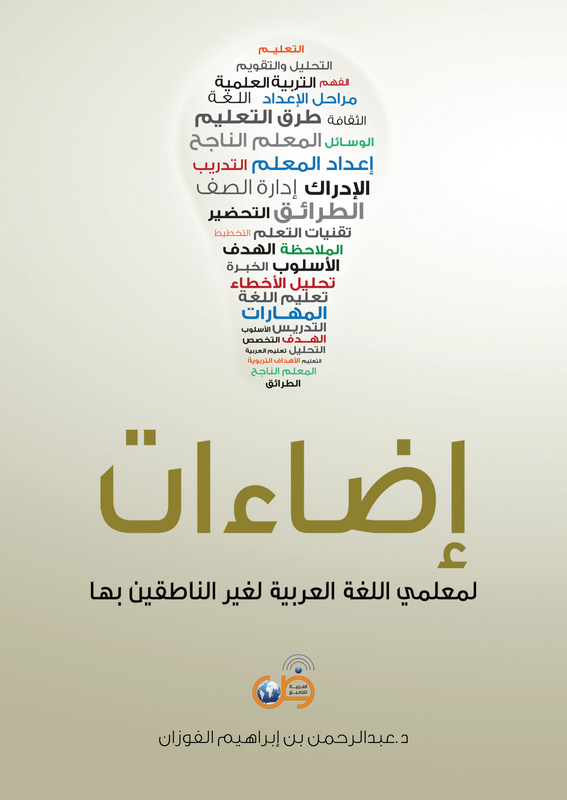 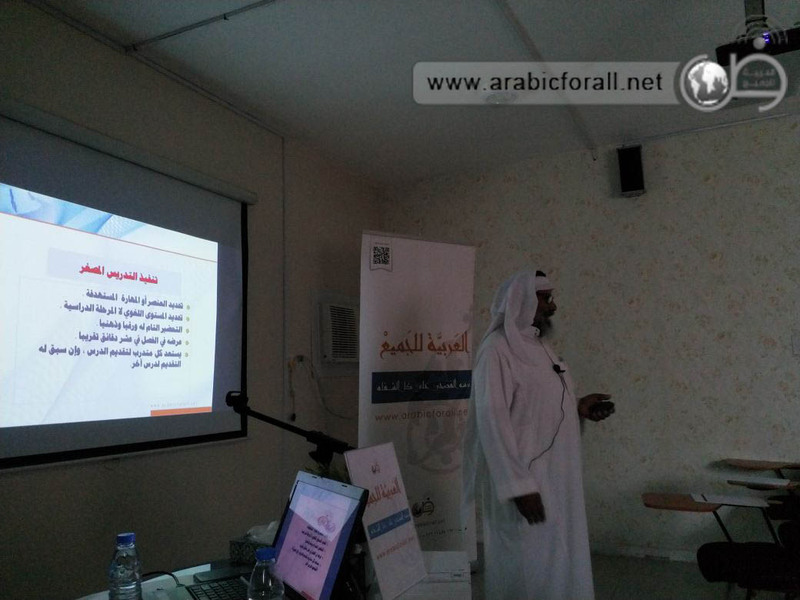 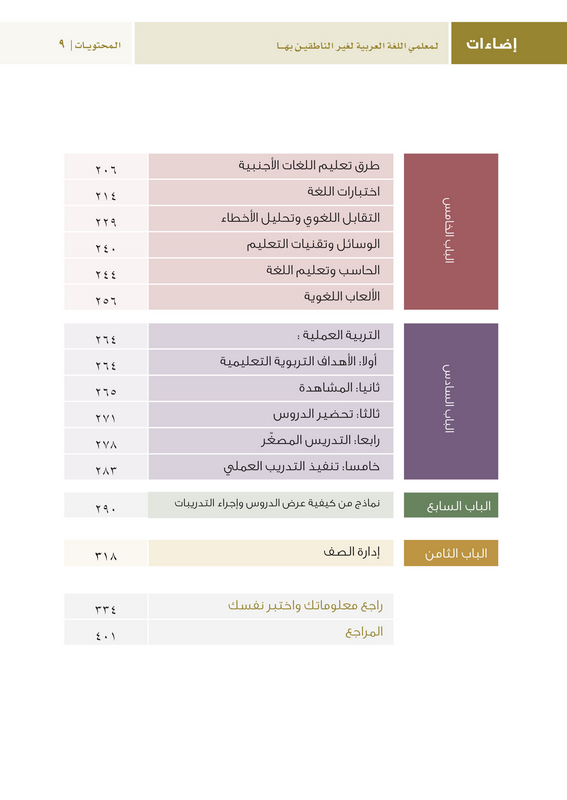 provides teachers with a set of methods and procedures that enable him/her to teach Arabic language more effectively. 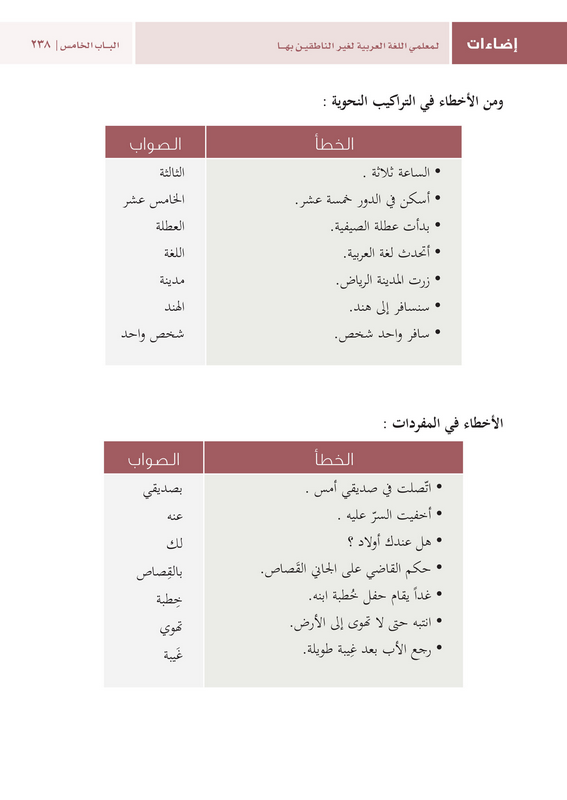 Guides to how to present language skills and its various components as well as how to make different kinds of exercises. 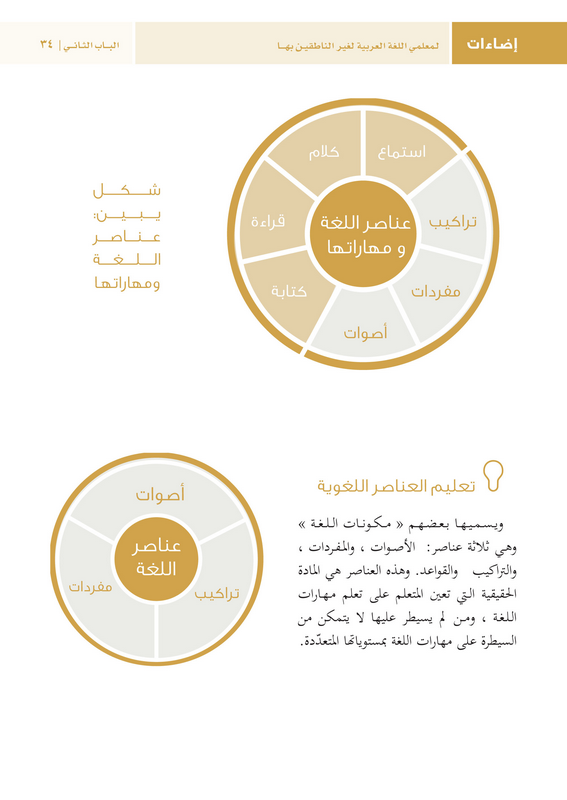 It has practical examples for each skill and each component. 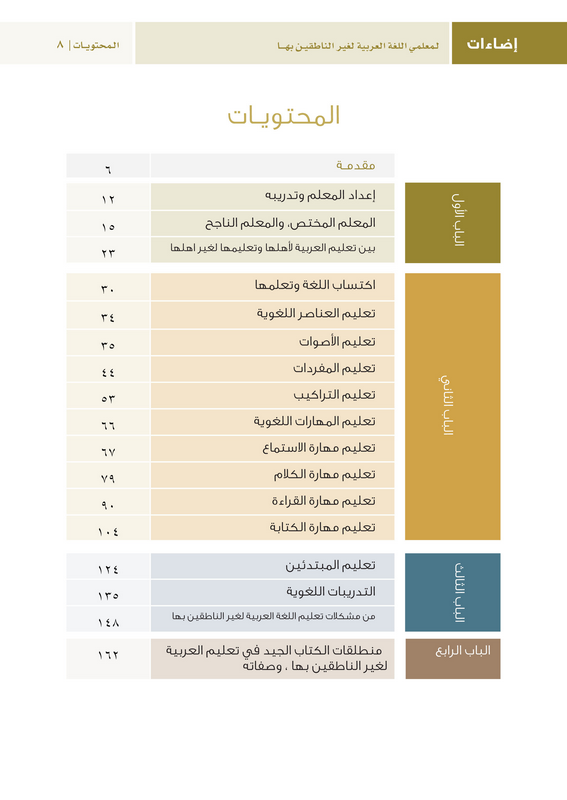 Beneficial for new teachers and others who are experienced as a reminder. 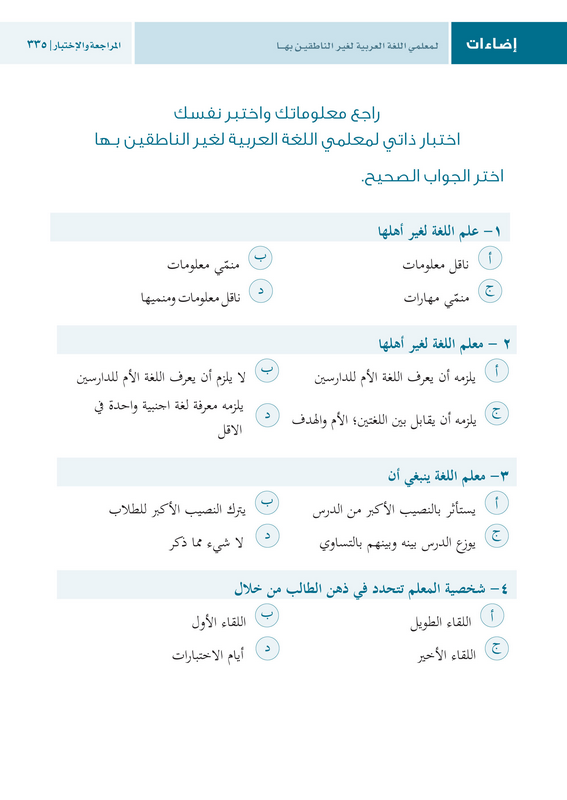 A comprehensive revision is provided in the form of self-test for teachers of Arabic language to non-native speakers which consists of 260 questions.